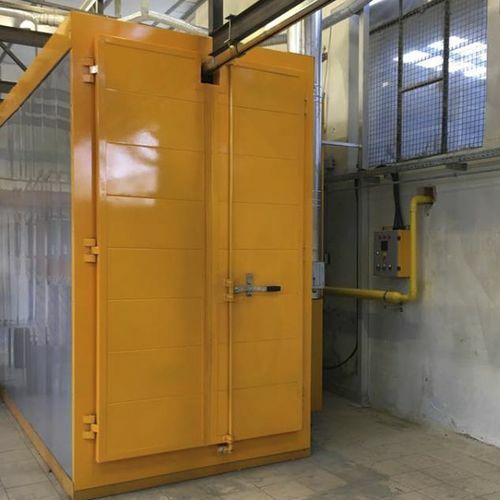 Powder coating oven / chamber / tunnel / electric - VMBFE - VOGA MACHINE INDUSTRIAL PLANTS Co Ltd.
VMBFE VOGA MACHINE INDUSTRIAL PLANTS Co Ltd. 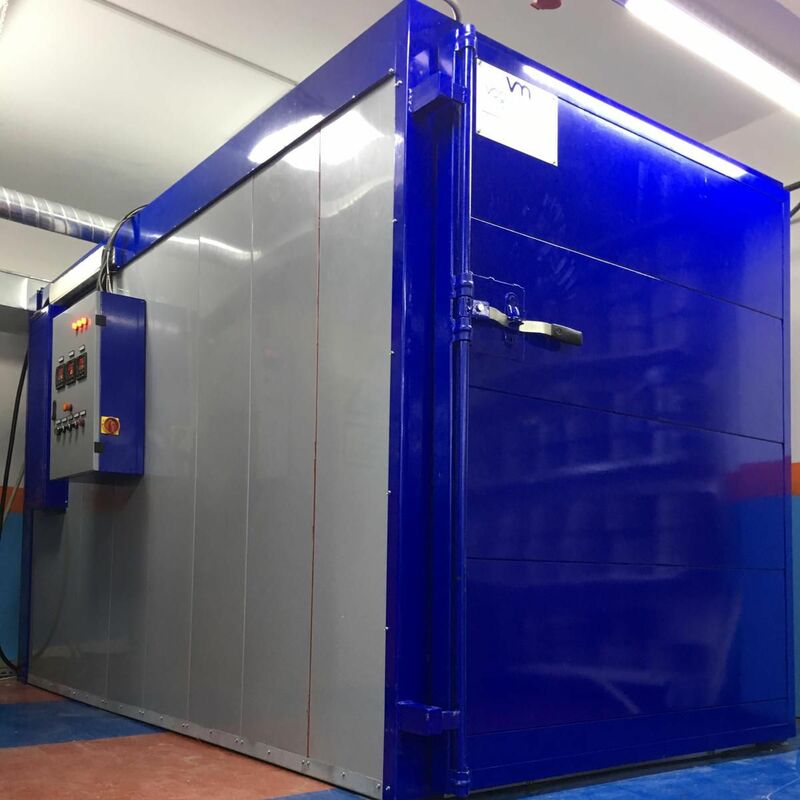 These are low temperature ovens which allow powder coating applied to the work pieces to be cured usually around at 200°C in 10 minutes. The ovens are designed according to the shape, quantity and weight of the product to be cured. Electricity, liquid or gas fuel is used for heating the furnace. Ovens are produced and named as box type, axial conveyorized and tunnel oven depending on whether the products are driven into the oven manually, semi-automatically and automatically.